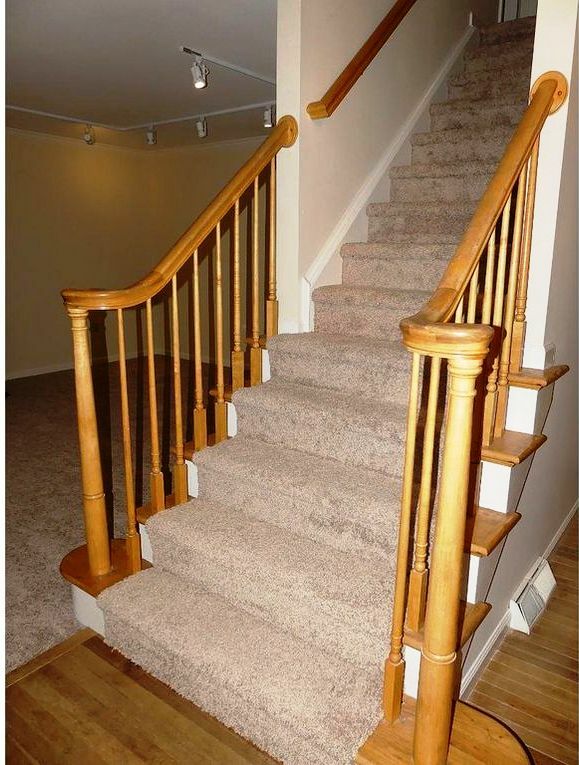 At the front door, the stairs go up to the bedroom level. The room on the left of the stairs is the living room. There's a LOT of track lighting in this house.